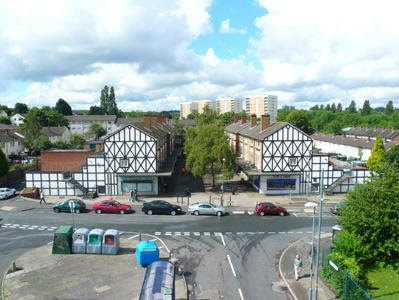 frillip moolog - Blog :: frillip moolog blog: Does Richard Woods do visual research in Bedford? Does Richard Woods do visual research in Bedford? Views of The Yin & Yang of Frillip Moolog at Bedford College South Bank Art Centre. Show runs until 30th Jan. Monday - Friday, 9am-5pm. It has been curated by Bedford Creative Arts and is one of their new Offsite Projects. As part of the show I have given a talk on my work and thought processes while making beings. Next week I will also be giving some tutoring sessions with textile students at Bedford College. My Powerpoint images showed how I make visual links all the time and as a result the tutors have asked me to lead sessions which focus specifically on visual research. I’m really pleased about this as I am quite passionate about it. I find inspiration every where and always take photos. Now with a camera on my phone too it means that there really is no excuse for missing a quick ‘snap’. In my visual research I don’t need the images to be of a very high quality as I’m usually interested because of colours, form or sometimes it’s a modified use. There are so many reasons for something to be of interest. Categorisation of my images is the hardest task. As they build up on my PC I’ve had to set up a filing system that works. i.e. with categories that I understand and remember so that I and am able to retrieve the images when I need them. As I was leaving Bedford last week I was lucky enough to be driving slowly enough to snap this wall. My question is. 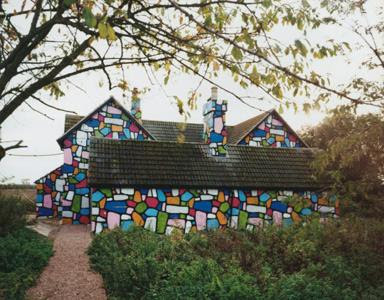 Were they just trying to jazz it up a bit or were they inspired by Richard Woods’ recent Stone Clad Cottages. 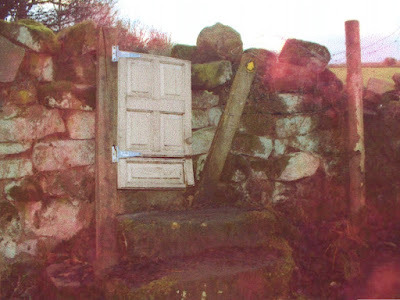 (A Fermynwoods Contemporary Art Offsite project back in November 2008.) No this wall has been painted for a while… Could Richard Woods have a similar photo of this wall in his source file?! I have been interested in Richard Woods’ work for quite a while now. His chest of drawers for Established and Sons isn’t my favourite but when I saw his floor installed as part of Liverpool Biennial this year I was really taken with the impact and also loved the attention to detail. Back in 2007 he made Tudor Fold a project in Birmingham curated by Gavin Wade. It’s perfect in its simplicity. He’s made us look again. Decorating a 1970’s terrace as a black and white Tudor building, we are forced to have another look. We are jolted and reminded of so much that we take for granted. How often do we look without really looking? Yes this is the door from an old kitchen unit. It was fitted into this drystone dyke in Yorkshire...upside down! Wish i could get to Bedford.